Light + Love : Meeting Mikee. When I saw Mikee that afternoon, I looked up to heaven, closed my eyes, and prayed aloud: Dear God, in my next life, I want to look like Mikee Cojuangco. I want to have her beauty, her height, her body, her wealth, her talents, and those lovely light brown eyes. Oh, I still want my talents, too. Getting her trophy. She was the champion, of course. 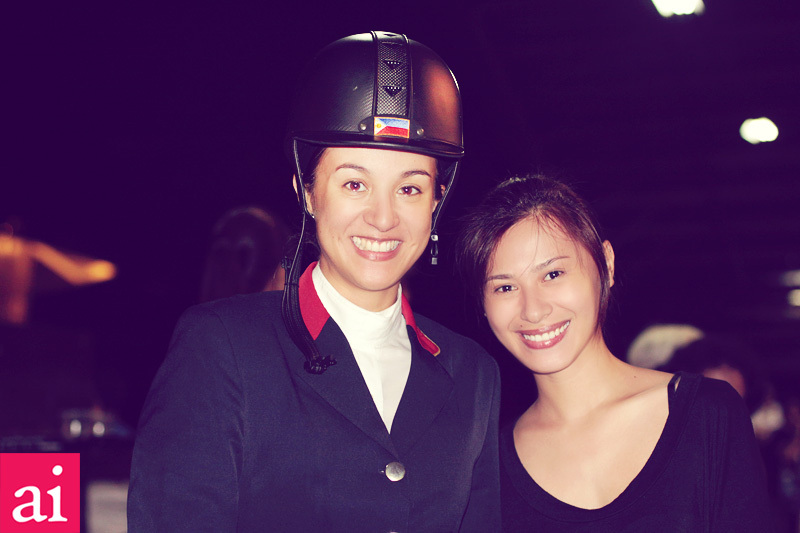 Mikee and D after the awarding ceremony. CBB encouraged me to have a photo with Mikee but I declined. I told him that some of my friends say I look like her. And if I have my picture taken with her, they might realize that we actually do not look alike. LOL. 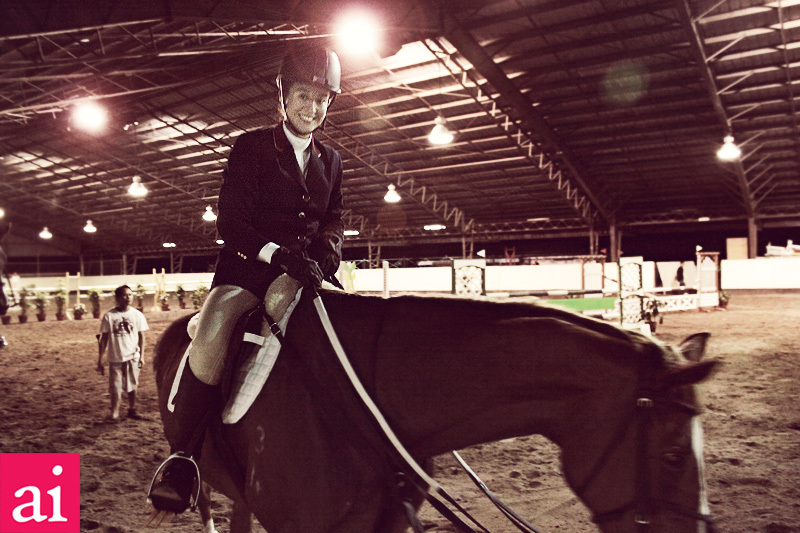 It was my first time to watch an equestrian game and I was totally amazed. Will post photos of the competition soon. 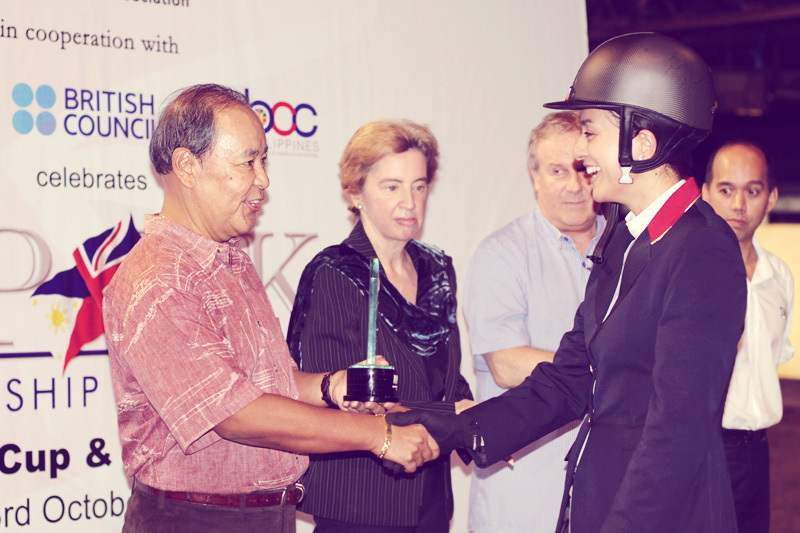 Photos: RP-UK Friendship Week Equestrian Games. Manila Polo Club, Forbes Park, Makati. "And if I have my picture taken with her, they might realize that we actually do not like alike. LOL." Hahahaha, you are so funny Ai=) you do look like one another, but mas parehasan ko nimo ug nawong ni Chynna (dont know how to spell her name)..
Aaaah, Ai you are so humble. You should have had a picture taken with her, of course your beauty could stand on its own. Glad you love grainy pictures, Chel, because I do, too! I was joking D that height ra gyud ang difference namo ni Mikee. LOL. She's very tall, Chi. Tall and lean. :) You are right, maayo gyud sila ug breeding. Mikee was very gracious and charming. And yes, I think she's still very much married to Jaworski (the son). Hahahaha! You are so funny Jul! She's very pretty gyud! She has the most beautiful light brown eyes. And she was very nice, too. Lots of mwahs back! God bless! Do you know what similar features you guys have? 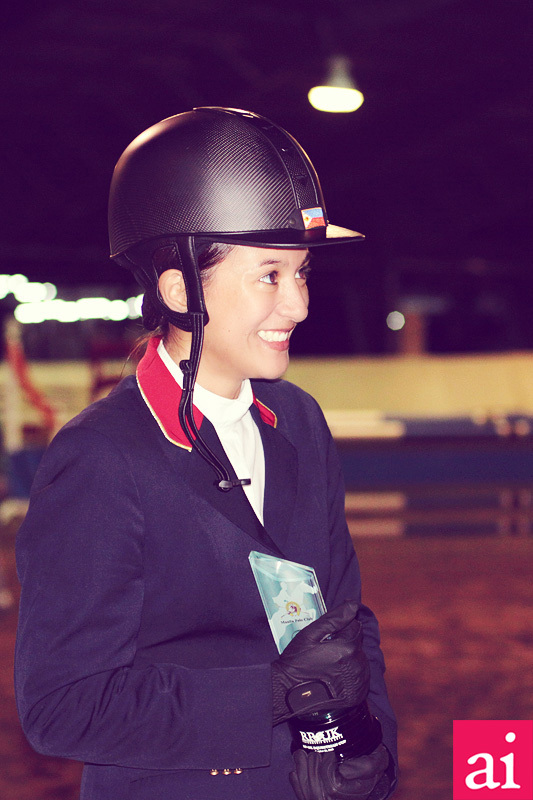 It's the gentle smile and the kind eyes, the overall warm and welcoming look of both your countenance. So take pictures away with her. Kindness has found her kin. Bitaw! I agree! I miss that amazing woman. I miss you, too!